I have the greatest and most beautiful and sweet and brilliantly talented friends. Ever. One is named Heather and she works in Product Development at J.W. 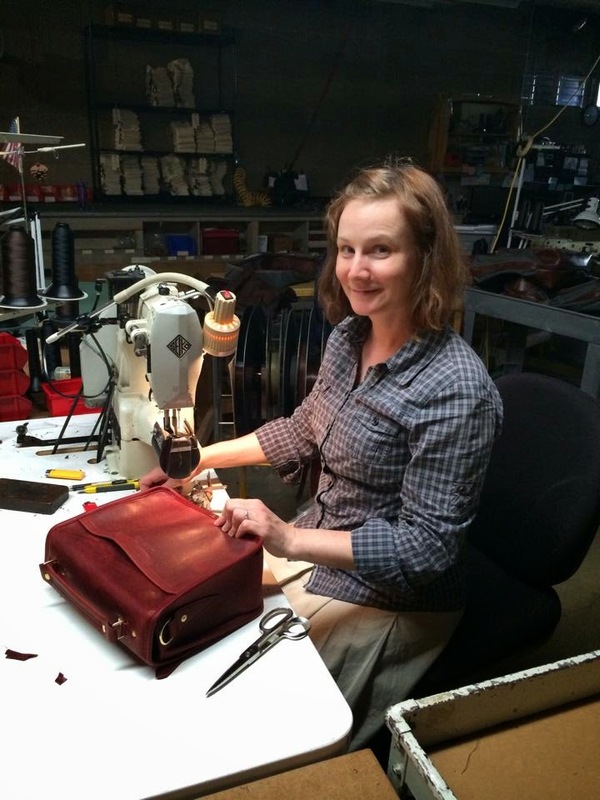 Hulme Co, a 105-year-old Minnesota company, a real MADE IN THE USA kind of place. Production is right here in St. Paul, Minnesota. Check out their story. She and her husband moved about three-and-a-half hours away last year to take care of some family obligations, but she kept her job and has stayed with me in my apartment from time-to-time to ease the commute. I charged her eggs. Yep, eggs. Up north she's got a little farm, and would bring me fresh farm eggs from her pet chickens...so fresh they sometimes still had chicken poop on them. 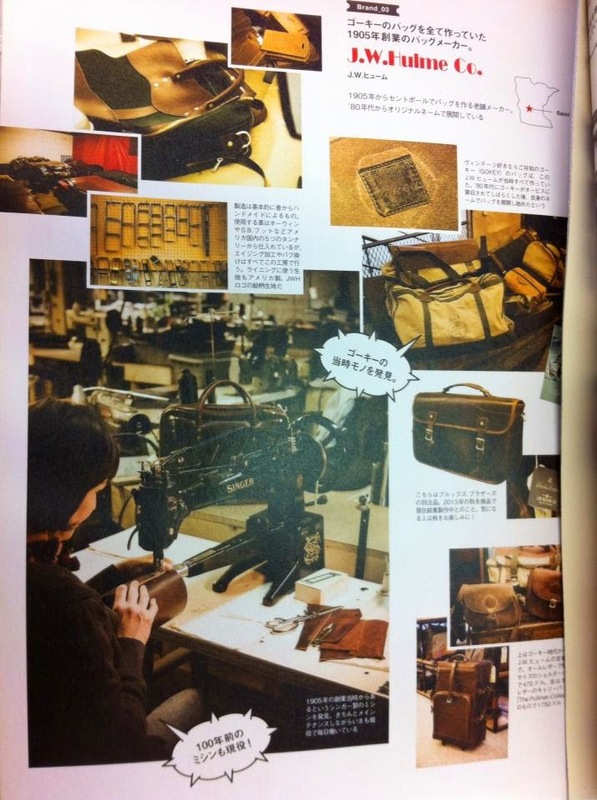 Anyway, she's so amazing and I'm always bragging to anybody who will listen about all the bags she makes for J.W. Hulme. Look! She even appeared in some Korean magazine sewing away! That's Heather too! 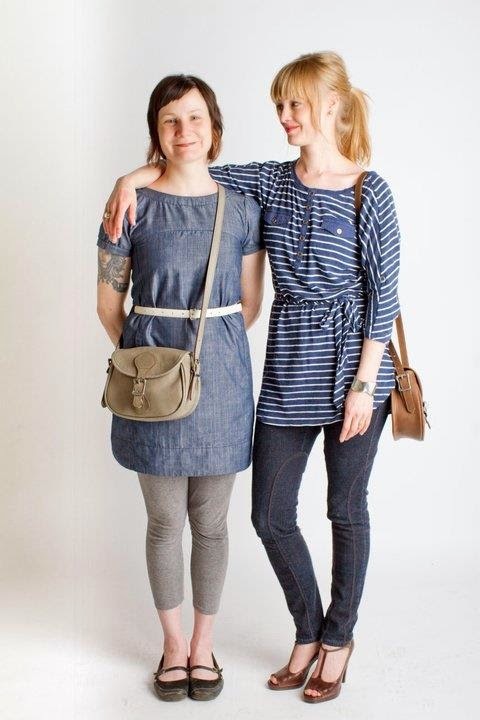 Modeling for the company's facebook page - on the right my other friend Kerrie who also works there! Remember when Kerrie made me my passport cover?!!?!?! Here she is hard at work. Anybody recognize that shirt? Look at the lining! I LOVE IT. It's tiny little 110 cameras on the most beautiful retro-inspired fabric! I'm so happy and proud! You guys can all go home to your kids and your soul-mate-life-partners and your grand-kids and your pets and hold them all you want. Because I'll be holding onto my new bag. I'm going to marry it, and when I die you can throw my ashes inside because we will never ever be apart not ever, ever, ever. I LOVE THAT BAG! If your identity wasn't all over it I would steal it, I love it that much. You are the luckiest girl in the world. I'm not even kidding. Aren't you glad your dad didn't call her and ask her to put "dad" on there instead of Kady?